The Prideview Group will once again be in the South of France this year! To arrange a meeting please contact Hina on 0203 113 2140 or hina@pridemanagement.co.uk. Having transacted over £250m worth of deals in 2017 and 2018, we remain active and in particular are looking for Portfolios, Parades and Value-Add / Development Opportunities nationwide from £1m – £50M and can retain introducers. Do get in touch if you operate in these areas. We also handle the investment funds of numerous Overseas Family Offices, and would be keen to meet any investors or agents with similar backgrounds. We are also keen to meet Lenders and Commercial Property Finance providers. 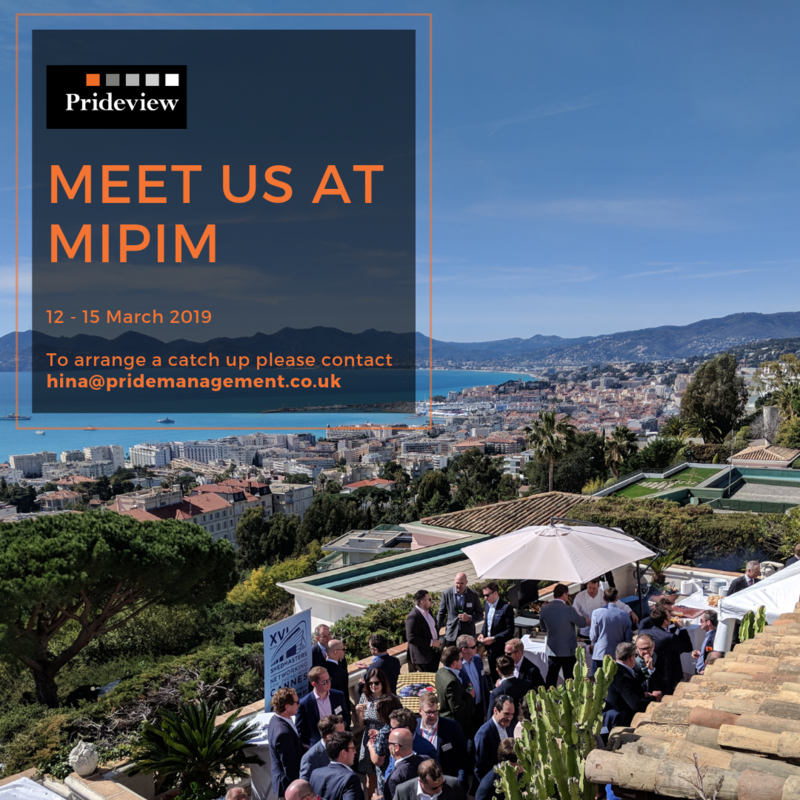 MIPIM gathers the most influential international property players from all sectors for 4 days of networking, learning and transaction. Visit www.mipim.com for more information.